Take the first step to becoming a Humane Society of Greater Miami Volunteer by attending orientation! Seats are limited to 60 and are on a first come, firs served basis.This number includes the attendance of parent/guardians coming for minors. 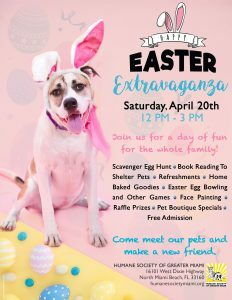 Learn more about volunteering at www.humanesocietymiami.org/programs/volunteer.